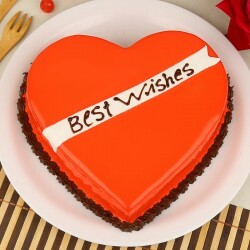 Planning a magnificent surprise for your special one this Valentine’s? 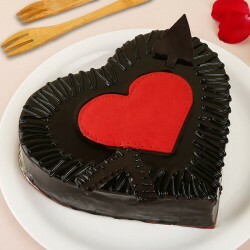 Well, nothing speaks love louder than a deliciously crafted heart shaped Valentine cakes. 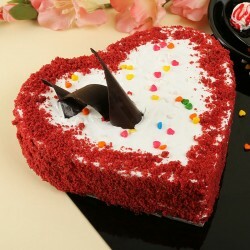 This season of love, send romantic heart shape cake for Valentine’s Day and profess your love in the most beautiful way. 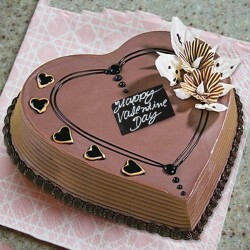 Valentine’s Day is all about love and sweet moments of romance. With the season of love round the corner, it’s time to take your relationship to new heights and build a stronger and lasting bond. In the hustle and bustle of life, it’s easier to get caught up and find time for love. 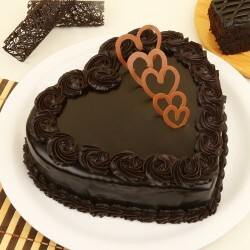 Therefore, it’s not everyday that you are able to express your love to your special one. 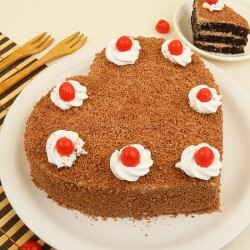 This Valentine’s Day, express your love in a special way with heart shape Valentine cakes for them. 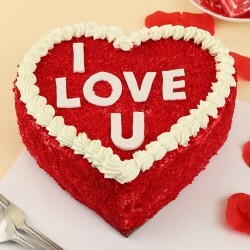 This will not only make them smile but also make them realize that you gave an extra thought to express your love and affection. 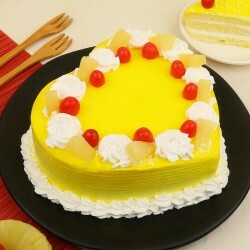 When it comes to celebrating your love, nothing works better than cakes and especially if it is a heart shape cake, the celebration is bound to get sweeter and more love-filled. 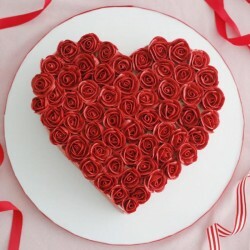 When it comes to finding the best Valentine cakes, MyFlowerTree should be your go-to place. 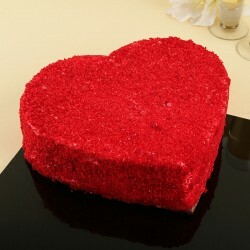 We bring you an extensive assortment of heart shaped Valentine cakes in all flavours and varieties. 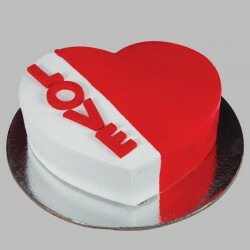 We have flavours like butterscotch, pineapple, chocolate, strawberry, heart shape red velvet cake and so forth. Available in both egg and eggless variants, choose your favorite flavor and our expert will craft a scrumptious treat that will leave you and your loved one hooked. You may also order for any size of Valentine cake online from MyFlowerTree. Whether you are looking for Valentine cake online for boyfriend or girlfriend, we have got you covered with the most mouth-watering and eye-pleasing cakes. 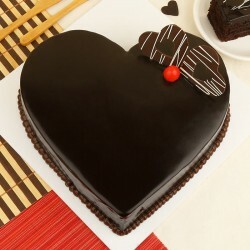 Our heart shape romantic cakes are one of the most best selling Valentine cake variety that are bound to infuse sweetness in your relationship. 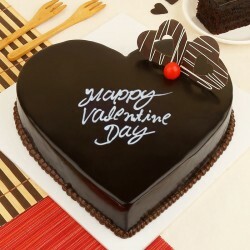 MyFlowerTree assures not just the quality Valentine cakes online but also guarantees a hassle free delivery of your gift. We take special care that your emotions are rightly expressed with the right kind of gift. 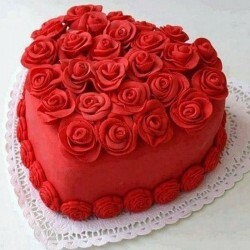 Whether you choose a particular heart shape truffle cake or a Valentine combo with a delish Valentine heart shape cake, you would not need to hop from shop to shop to choose the best Valentine gift for your sweetheart as with MyFlowerTree, you can easily order the same from the comfort of your home. 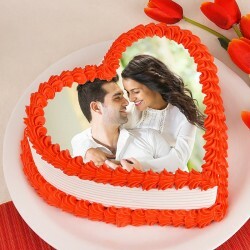 To save you from all last minute hassles, we also offer same day delivery of heart shape Valentine cakes that will reach your dear one within a few hours. Not just this, we also provide midnight delivery of your Valentine gifts to make your surprise super special just when the clock strikes twelve. 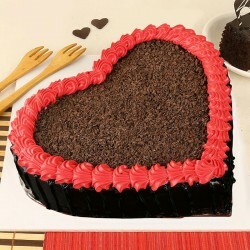 Therefore, plan your surprise of romantic Valentine heart shape cakes from your reliable gift portal, MyFlowerTree and bring an unceasing smile on your sweetheart’s face.